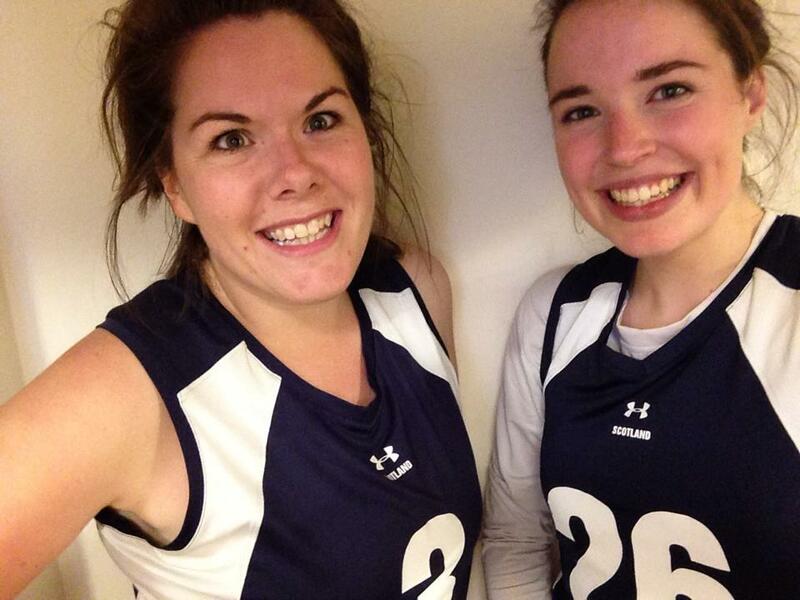 Guest blog from my friend, team mate and newly diagnosed asthmatic!!! For my second guest blog I asked my friend and team mate from Capital Lacrosse club if she would like to take part in my little project showing how asthma effects all manner of different people. Laura has recently been diagnosed with asthma and has taken it in her stride. It was great to ask her feelings about it and the information she was given about asthma and how to look after it. I also took the opportunity to find out a bit more about Asthma in Schools as Laura is also a teacher who has recently started teaching in a new school!! Thank you very much Laura for sharing your story!! Why did you first think you had asthma? I’ve thought for about a year or so that I could have it but just thought that I was being a bit dramatic! When running, I could only really manage about 10-12 mins at a push before feeling really tight chested, and found training outside particularly tough when it was cold. Lastly, it’s always been a bit of a running joke in my family that whenever I become ill I always get a bad cough that takes me much longer than everyone else to get over! Earlier this year I decided to up my training for lacrosse and in particular wanted to push my endurance levels but found that I was still only able to manage the same amount of time on the treadmill before having to stop. I spoke to my mum about it (who has had asthma for years) and she suggested getting it checked out. What did your Dr do to diagnose you having asthma? I spoke to a lovely Dr who asked why I thought I could be asthmatic and said that she believed it to be exercise induced asthma. She took my peak flow and measured it against my height and it was down on what was to be expected. She prescribed me a peak flow meter and inhaler that I was to use for a month and then go back and share my results. Are you on regular medication for it? If you were given inhalers were you taught how to use them? I’m not on regular medication. I was given an inhaler but the Dr didn’t show me how to use it, I actually had to phone my mum and ask her how to use it. How do you feel about being asthmatic? I feel ok about being asthmatic, it’s good to know that the tight chest and uncomfortable feeling when exercising has a reason, however remembering to use my inhaler is the worst thing! Are you still able to do everything you did before? Yes, I can still do everything I did before! A lot of the research I read about it kept telling me that! Being new to asthma do you feel supported by your GP/ practice nurse if you had any problems? Were you given an action plan and information about what to do should you get a cold or become more symptomatic?? No, I wasn’t given anything like that, but I don’t think that my asthma is serious enough to warrant one! It has been a great opportunity to hear from someone who is new to asthma. It shocks me however that despite all the campaigns from Asthma UK that there is still a lack of good asthma care. It is important to remember that no matter who has asthma wether they have one, two or three inhalers everyones asthma needs an action plan and information of what to do should problems arrive. It is great that GP’s are being helpful and understanding but they are not providing all the information which is crucial especially if you are new to asthma. From Laura’s answers I am going to get the relevant stuff for her so she can have the information she needs. Now Laura answered some questions with her teacher hat on!! This ties in nicely with the recent events happening around emergency asthma inhalers. Is the number of kids with asthma in the classroom rising? Not that I’ve noticed, usually I just have 1 or 2 children in a class of 30. Would you feel confident you now what to do should a child have an attack in class? I feel more confident now that I have researched my own asthma but I would obviously still call on assistance of the school first aider. Does your school keep spare asthma inhalers for children with asthma to use in and emergency? I actually don’t know as I’m in a new school but I assume that they would. Do the school make all teachers aware of the children who have asthma and allergies or other conditions which could cause problems? In previous schools yes, not so far in this one though. Does your school have an Asthma Pack?? Again, not that I know of. Now that asthma in schools is changing and schools can keep emergency inhalers I hope in the future that all schools with also have asthma packs. It is encouraging that in Lauras previous schools teachers are made aware of who has asthma and other medical conditions. Again, thank you Laura for your contribution to my blog. Look out for more coming soon. Whats the point in taking the inhalers and pills….